Lock in a great price for Alta Mare by Andronis – rated 9.6 by recent guests! The view, the staff, the breakfast!! Nothing better can be found on Santorini! Now we dream of our return! Everything was amazing, staff so helpful, food was the best on the island! One of the best hotel experiences we've ever had. The staff and service were amazing and the property was beautiful. This hotel is stunningly beautiful and the service and staff are amazing ! Can't thank them enough for an incredible honeymoon ! The view is fantastic and the staff go all out to make you feel comfortable and taken care of. Staff is incredible! Sophia is the best. Everyone has a great attitude, very helpful, kind and generous. Beautiful infinity pool, never crowded. Location is close to great restaurants and amazing caldera and ocean views. Close to the drop off location from the Taxi and the Porter helps with everything. View from our honeymoon room was the best of our whole trip. Great turn down service that always provided information of the sunrise, sunset, food, water, and re-cleaned the room. They even got me an amazing chocolate cake for my birthday! It was the sweetest thing. They are just so thoughtful and live up to a 5 star rated hotel and more! Love love love this hotel and staff. ❤️ ❤️ ❤️ Your every wish and desire will come true. Even if it's ridiculously gigantic floating pink swan, it will show up in your room within 20 mins. Sophia and George are my fav! They love their jobs and take a lot of pride in making you smile. Because of my experience at this hotel in Santorini, I booked Andronis hotel in Ethans too and had exact same experience. I had to be at the airport at 4am, but they begin serving breakfast at 8am. When I got to my hotel room at 12am, they prepared breakfast for me just to make sure I'm not hungry. They did thoughtful little things like that ALL the time, during my entire stay in Santorini and in Ethans. I'm a customer for life. Despite the obvious beauty of the room and location the staff and management really do go the extra mile to make you feel comfortable and ensure that you're happy. They really helped make our honeymoon a most memorable one. Thank you Alte Mare staff. Alta Mare by Andronis is located in Oia. Features include a semi-covered swimming pool and an open-air café. 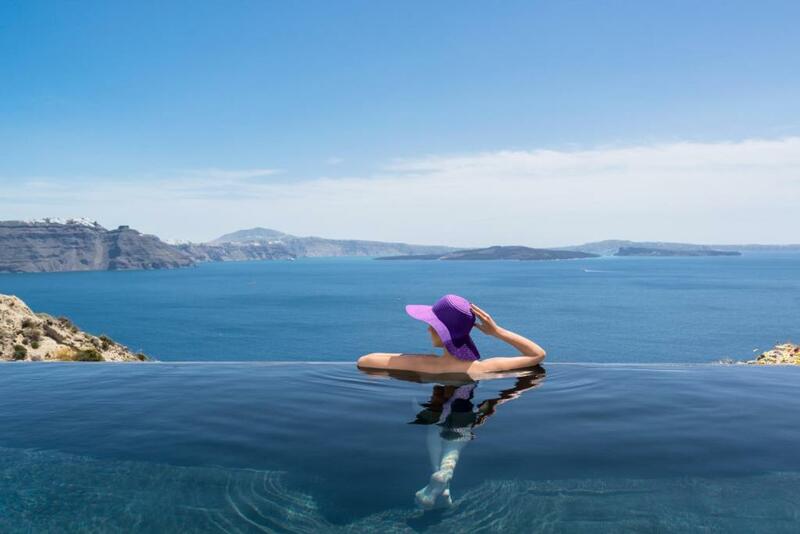 All the suites are perched on the cliff overlooking the famous volcano, the Caldera and the sea. In addition to the private hot tub on the balcony of each room, amenities include LCD cable TV, independent air-conditioning, DVD player, Wi-Fi access, hairdryers, bathrobes and luxurious toiletries. The infinity pool offers a shady break from the Mediterranean sun, complete with sun beds and large towels. Beside the pool, the Alta Mare Café serves a selection of salads, sandwiches and smoothies. Wine tours, horse riding, diving and snorkeling activities can be arranged on site. Fira town is 7.5 mi away. The Alta Mare by Andronis is 11 mi from the airport and 12 mi from the port. Port and airport transfer service is provided upon request. 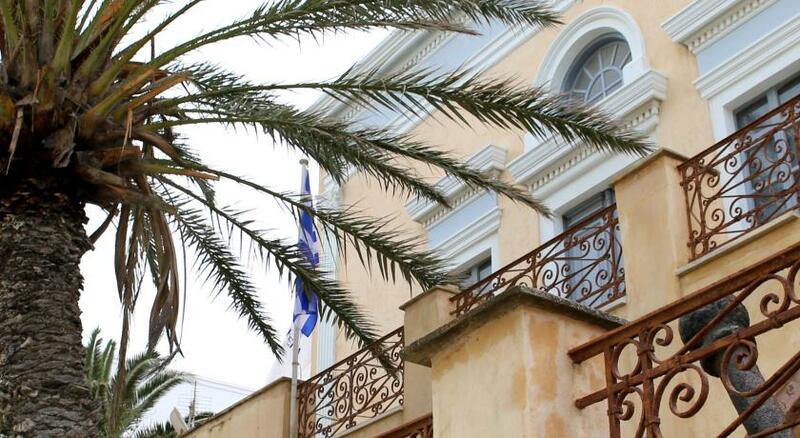 When would you like to stay at Alta Mare by Andronis? Simple chic design, luxurious comforts, hot tub and views of the Aegean Sea and the volcano, are featured in these stylish Suites. Maximum occupancy is 2 guests. Elegant details create the ideal atmosphere for relaxing days and nights on the island. The comfortable sitting area, the spacious private balcony and hot tub overlooking the Aegean Sea and the volcano are the exclusive touches that will make your stay unforgettable. One extra guest can be accommodated on the sofa bed (see Hotel Policies). Featuring a spacious patio with outdoor hot tub and views over the Volcano, this 60-m2 cave suite has an open-plan design including a bedroom with seating area, a walk-in closet and private bathroom. Featuring a cave-style, outdoor hot tub overlooking the Aegean Sea and the volcano, this 40-m2 suite with elegant details and chic lines has a seating area, and a spacious private balcony. Featuring a private terrace with outdoor hot tub and lounge chairs, this 30-m2 suite offers views over the Aegean Sea and the volcano. It has an open-plan bedroom with king size bed and a bathroom with rain shower. House Rules Alta Mare by Andronis takes special requests – add in the next step! Alta Mare by Andronis accepts these cards and reserves the right to temporarily hold an amount prior to arrival. The hotel is not recommended for handicapped or elderly people with walking difficulties or heart problems. Guests are required to show the credit card they used for the reservation upon check-in. Please inform Alta Mare by Andronis of your expected arrival time in advance. You can use the Special Requests box when booking, or contact the property directly using the contact details in your confirmation. Occasional visits from staff topping up hot tub, watering flower. Minor things. The views 😍 and the breakfast was amazing. Out of all of andronis properties in santorini this was the best value for money. We were lucky enough to have a suite with more privacy than others. We stayed in the ‘andronis luxury suites’ for one night and can firmly say Alta mare have more privacy. The room is different from the photo. They replied email very slowly and never answer questions properly. Receptionist Sofia is very friendly and helpful. The bed is really comfortable. Everything’s very clean. Most of the stuffs and nice. The place is romantic. All staff are friendly, professional and excellent. Amazing staff, they do the utmost to make you feel comfortable. Breakfast is superb, options are extensive and always served in the room. Also, the extra bottle of wine was very appreciated. Breakfast extraordinary! Perfect place to be in Oia. We had the retreat suite for three (couple with 17 year old daughter) Nice private pool on the terrace with wunderful view. Really worth the money! Nothing this place is perfection. This place is perfection!!! We couldn't have asked for anything more. We arrived to be greeted by the manager and staff who were welcoming and accommodating. Nothing was to much trouble, we were to celebrate my daughters 21st birthday the day after. A gorgeous cake was arranged and dinner at the best table in their restaurant Lauda. Also spa treatments which were the best I have ever had. The room and hotel are Devine every detail is catered for, from the time you wake in what would have been the best bed I have slept on in Europe! Til the time you go to bed you are in heaven. The breakfast was personally cooked and served on your balcony overlooking a beautiful view and each night you receive a Greek treat and tea. You couldn't ask for more. Each and every staff member make you feel special however also like family. I can't thank them enough for making my daughters 21st and our stay so perfect. Till next time. We were very sad to leave. Price is a little bit higher. All of them are 5 starts! Small comment: there is a smell of sewage coming from the bathroom at times. They gave us a room with our neighbor’s hot tub at our window, so we could here neighbor talk while they were using hot tub at night. It didn’t meet our request. Other than that service and food is good. Breakfast is very good. Room is clean everytime we came back. shower gel and hair products are good. Bed sheets and towels smell great. Best breakfast ever! Nice view.